Even nine years after enactment of the Right to Information Act, officials have been found to be rejecting applications with fee drawn in favour of 'Accounts Officer' as mandated by the Central Government. Taking a stern view against the practice, the Central Information Commission recently issued a show-cause notice to the Delhi Government for rejecting an RTI application on the grounds it was drawn in favour of "Accounts Officer" and not in favour of "Executive Engineer" as per their internal rules. This is not the only case where application has been rejected. In a number of cases, public authorities like Army and Indian Air Force demand fee drawn as per their rules and do not follow the DoPT norms. The application sought details of MPLAD funds and their expenses during the last five years on flood control measures. It was returned by the Irrigation Department claiming that name of the payee was wrong on the fee submitted by the applicant. "The Commission directs Rajesh Singh, Executive Engineer: Civil Division:IV to show cause as to why penalty u/s 20 should not be imposed upon him for not accepting the IPO in the name of the Accounts Officer despite clear instructions from DoPT. "He is directed to submit his response so as to reach the Commission within three weeks of receipt of this order," Information Commissioner Sridhar Acharyulu said. If the officer fails to explain the reason for rejecting the application, the Commission may penalise him at the rate of Rs 250 per day from the day the application was filed subject to a maximum penalty of Rs 25,000. He also directed the PIO to ensure that while responding to the RTI application, the PIO should ensure that reference date is mentioned so that appellants do not find it difficult to link it to their RTI application. "Department of Personnel and Training (DoPT) has repeatedly reminded public authorities to accept all payments under RTI Act made in 'Accounts Officer'. 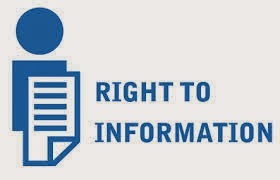 But difficulties are being faced by RTI petitioners because of public authorities not complying with DoPT circulars," RTI applicant Subhash Agrawal said.